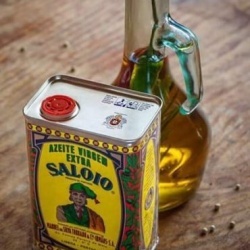 Saloio Extra Virgin Olive Oil! Saloio Extra Virgin Olive Oil has arrived and is now available in our stores and to our local restaurants and retailers. Made in Portugal it is made from the selection of the best olive crops and is distinguished for it's fruity aroma. It has a silky feel which makes it perfect for a salad or any uncooked dish.